Aim to live respected and die regretted! 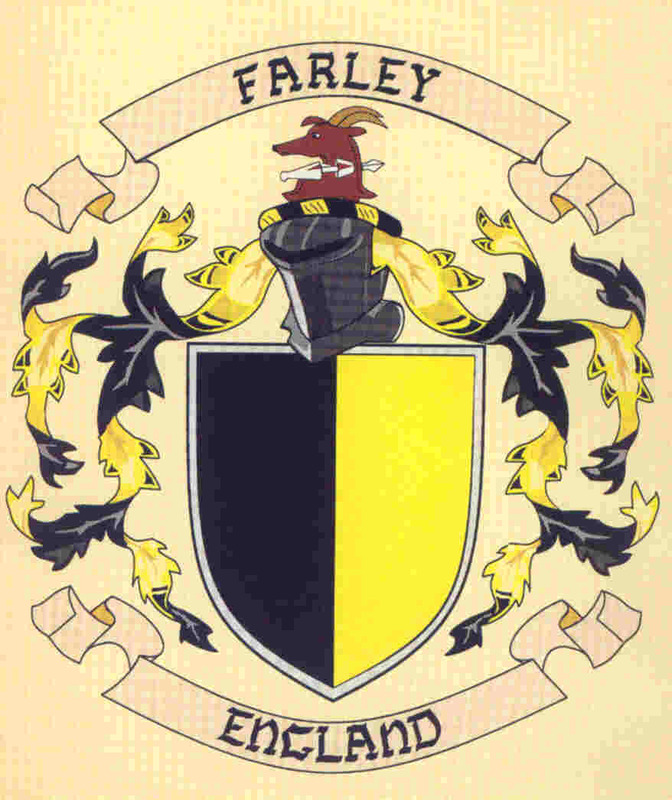 The English surname Farley is of local origin, belonging to that category of names based on the name of the dwelling place or locality where the original bearer once lived or held land. In this instance, the name is traceable to the parishes of the same name in counties Kent and Surrey and to the townships named Farley in Staffordshire and Wiltshire. A township was a medieval territorial division in which the community lived, it usually comprised a manor or parish. During the Middle Ages it was common practice to identify a person with the area from which he hailed and to refer to him in this manner. The surname Farley thus came to denote a resident or native of one of these townlands. Surnames were becoming commonplace in medieval society as documents were being chronicled to chart the growth and decline of populations. People thus registered using those names by which they were locally known. There was also a certain civic pride involved in registering one's native town as one's family name, especially if one had migrated to another area. The modern structured system of hereditary family names had not yet evolved, therefore people adopted those names by which they were locally known. The earliest recorded instances of this name occur in the Hundred Rolls, a document drawn up in London in 1273; one Jacob de Farlegh and one Hugh de Farlegh are listed therein. The Rolls drawn up by King Edward 111 in 1327 include one Adam Farlegh. The prefix 'de' means 'from' and indicates local origin. Blazon of Arms: Per pale sable and or. Translation: Sable (black), denotes Constancy. Or (gold), denotes Elevation of Mind. Crest: An antelope's head erased, pierced through the neck by a short spear proper.